Following is a quick-start example of Spring Cloud. We are going to develop very simple microservices using Spring Cloud, Spring Boot and Eureka Server. In microservice architecture, an application is composed of loosely coupled small services as opposed to a single monolithic application. 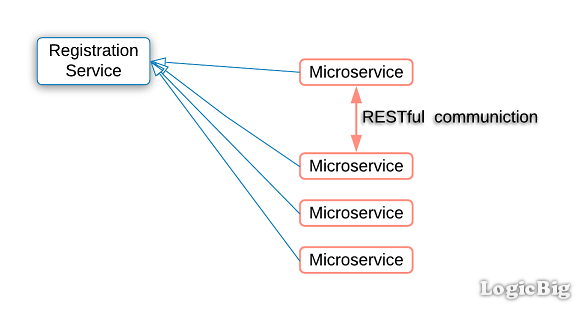 In microservice architecture a registry service is used to register the microservices so that they can be discovered. 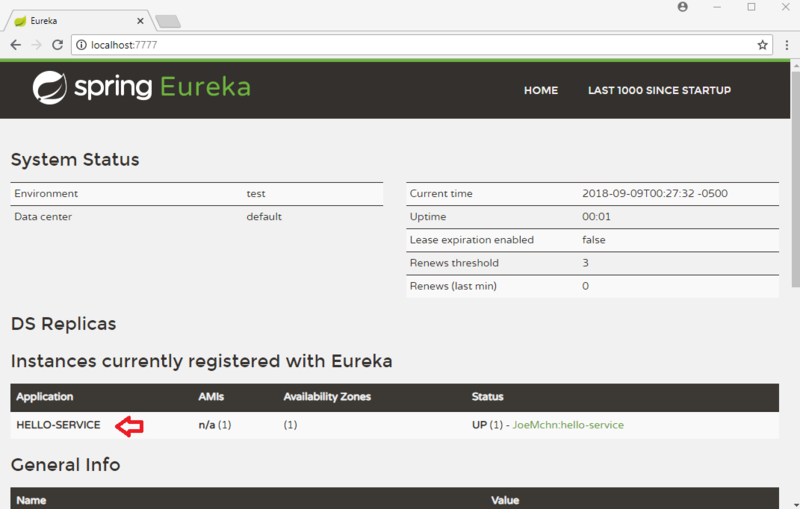 In this example we are going to use Eureka Server as the service registry. Eureka is developed by Netflix; it is open source. 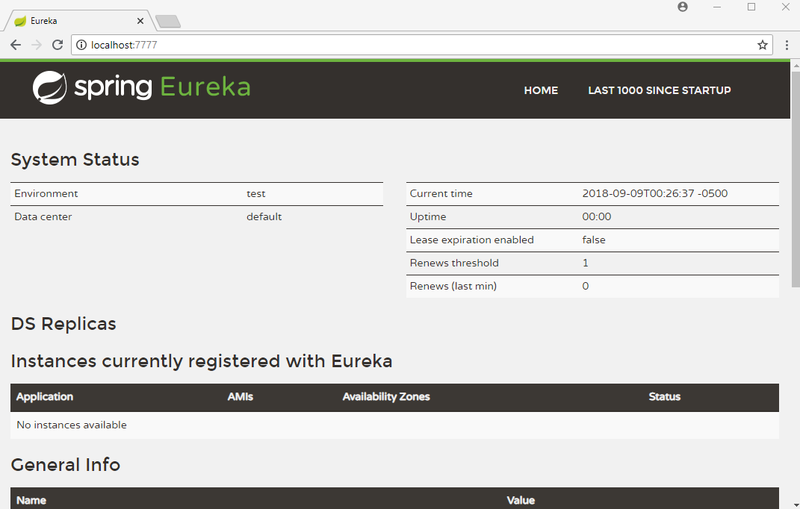 Spring has integrated Eureka into dedicated Spring Cloud modules to make it easier to use it. First is 'hello-service' which will just return a hello message. Second service 'hello-web-client-service' will handle the request coming from a client. On receiving a request it will call 'hello-service' and will return a web page in response. There will be three separate servers; one for Eureka and two of microservices. Also there will be three separate maven projects. In above configuration, the properties eureka.client. * are related to the service clients who want to register with Eureka. 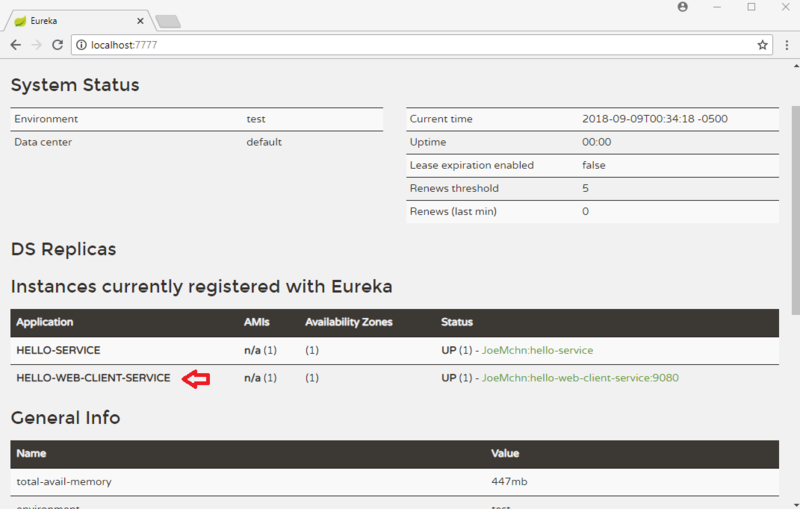 The property eureka.client.register-with-eureka=false specifies that this server should not be registered to the service client itself. 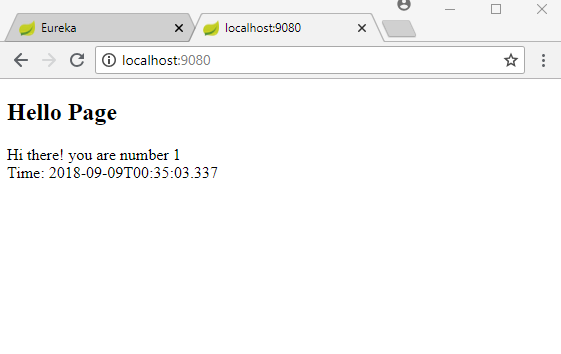 The property eureka.client.fetch-registry=false specifies that the server should not fetch the registered information to itself. Run above main class from your IDE. That will start the Eureka Server. Run above main class from your IDE.